The French are known for their indulgence in just about everything, from wine to cheese to bold interiors. French style homes are characterised by warm, earthy tones and engraved decorative items. The trick to achieving this look in Australia is to combine a warm, antique look, that looks natural in a more modern home. The French accent style style has come along way since it’s roots in the 1770’s. 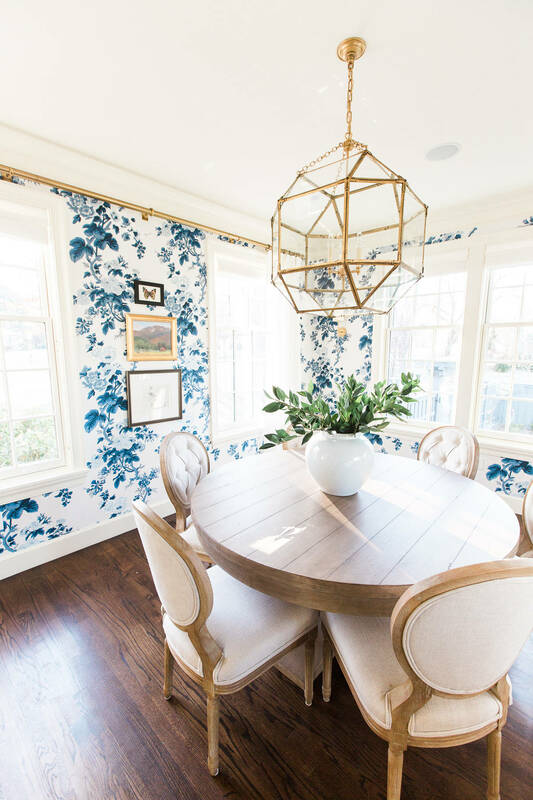 While still incorporating elements of antique furniture and over-the-top furnishings, nowadays we don’t have to be so extravagant to create a French accent style. The colours of your wall will determine the decorations and upholstery for the rest of the room. Try spilt coloured walls, such as: the upper half painted grey or white and the lower half (chair rail height) painted a darker red or blue. 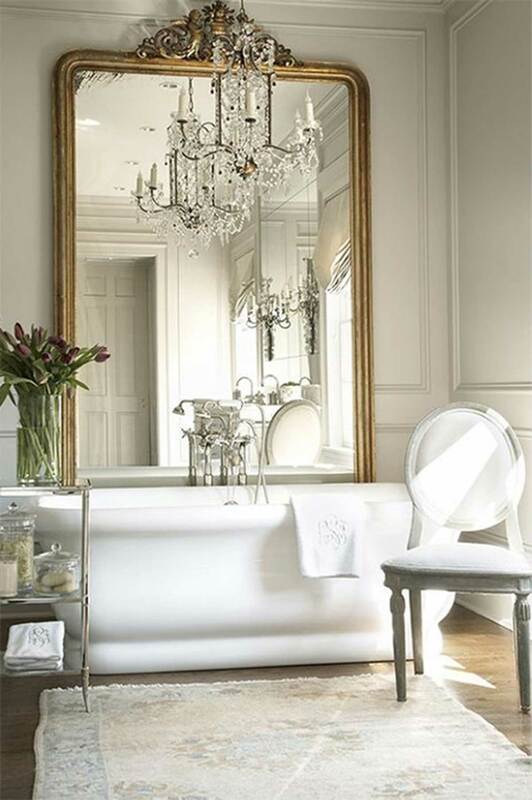 When choosing whites, stick to warmer tones such as cream, ivory and stone. As for blues, use aqua, cornflower or midnight blue. Choose a dominant colour such as red, that can be used to highlight aspects of the room. The style is inspired by the rolling French hills, so sunshine yellow is also an option for an accent colour. For a more traditional French style, incorporate timber work into the upper half of the wall. When choosing patterns for your French inspired home, think to the outdoors. Floral upholstery is a large part of the style, and this can be incorporated into anything, from couches to curtains to rugs. 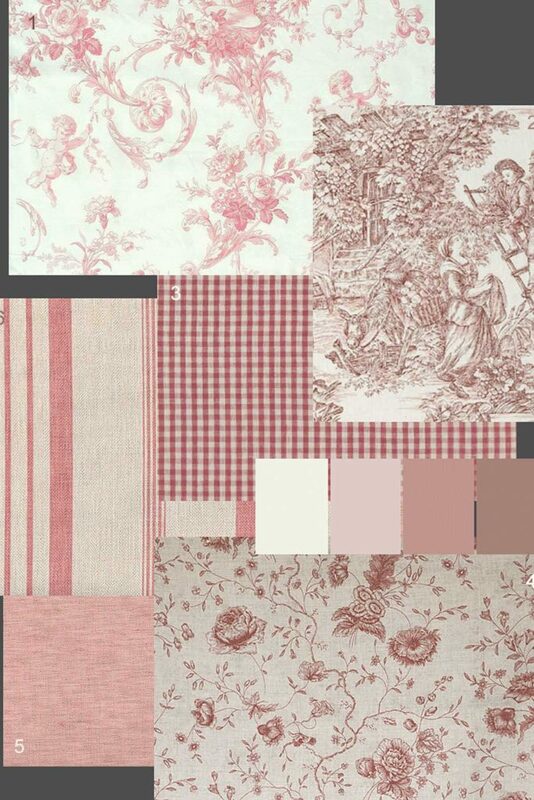 Red and blue stripes are a recognisable French feature and can be used in curtains and upholstery. In the kitchen, emphasise visual depth through your tiles and cupboards. The flooring is the base to your room, so there’s no need to go over the top with pattern and colour. Stick to natural materials such as stone, slate, natural wood and limestone. If you aren’t a fan of hard flooring, choose neutral, warm tone carpet or you could place coloured rugs on top of your stone floors. In the kitchen you have a free pass to go all out. 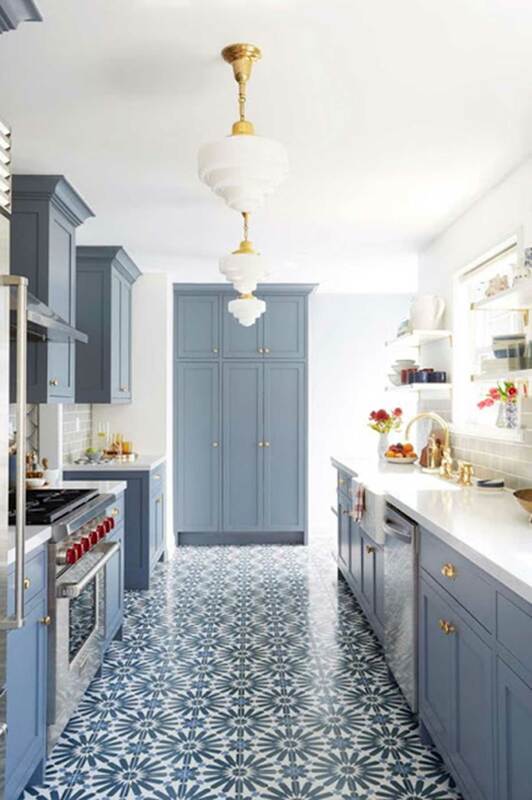 Match the colour of your floor with the cupboards and go to town with the pattern. Don’t rush out the door to buy brand new couches and tables with clean white shining finishes. These items will stick out like a sore thumb. French style homes prefer a weathered look. A look that represents ware and tare from past generations. 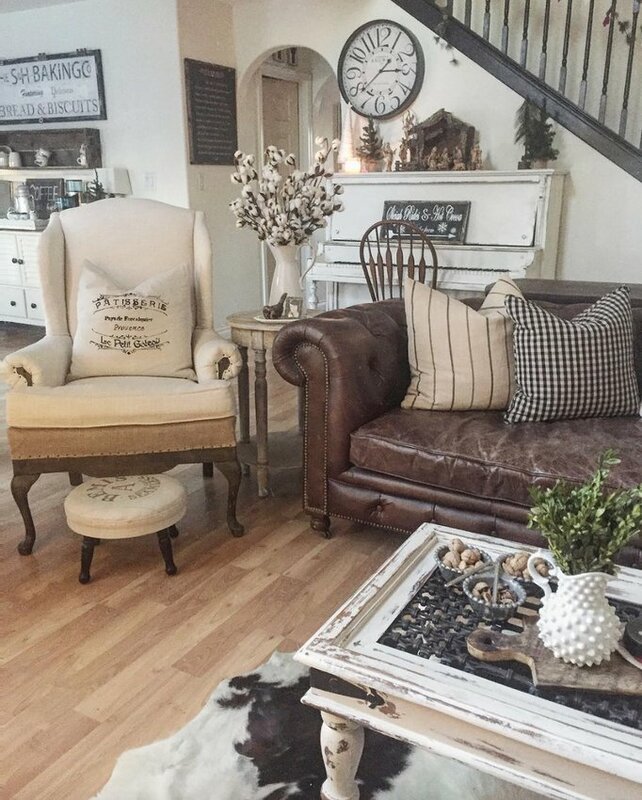 This doesn’t mean you have to have an antique leather couch that has been passed down from generation to generation, it just means you have to shop for the right materials. Search for wrought iron, bronze and brown leather couches, tables and chairs. Also consider natural materials like timber and stone, but make sure they match the warm colour scheme. This may sound strange, but avoid matching furniture. Create a collected look with different shapes, sizes and colours of furniture and accessories. Mix a variety of finishes from natural woods to metals. While French accent is often known for an abundance of decorations, each decorative piece often has a functional use. The large clocks are for reading the time, the open kitchen shelving for easy access and the hanging pots and plates are for use in dinner parties. Extravagant candle holders once functioned as the only source of lighting but today they are more functional for nice smelling candles. Use gold as a main accessory colour, to reflect light around the room. 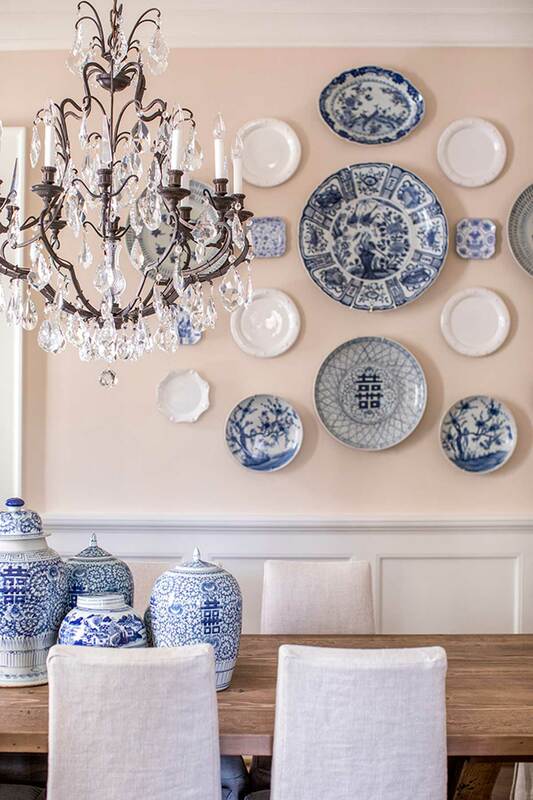 Beautifully patterned plates can be hung in place of artwork. If using artwork, choose one large antique piece as opposed to smaller pieces and don’t forget to add mirrors where possible. 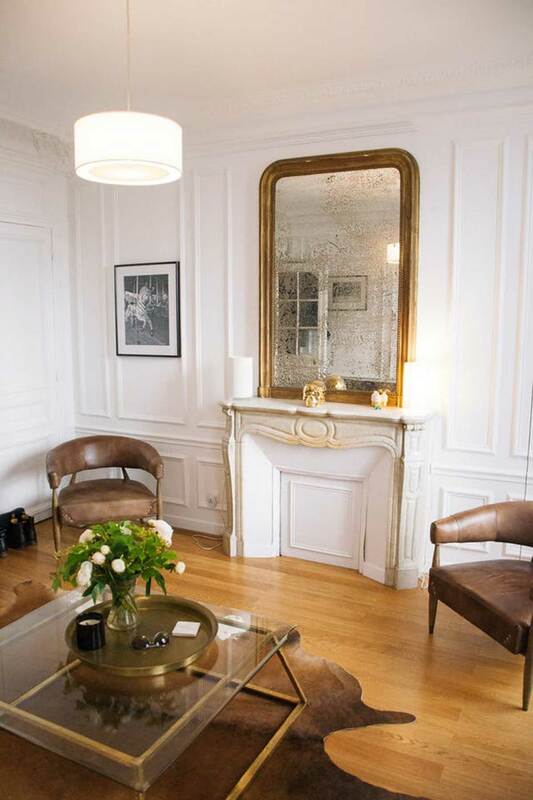 If you are lucky enough to have a fireplace, this is the perfect spot for decorative gold mirrors or large artworks. It wouldn’t be a French room without flowers of some kind. The French style celebrates life outdoors, so ensure you have either floral prints or a bunch of flowers potted in a pottery vase. 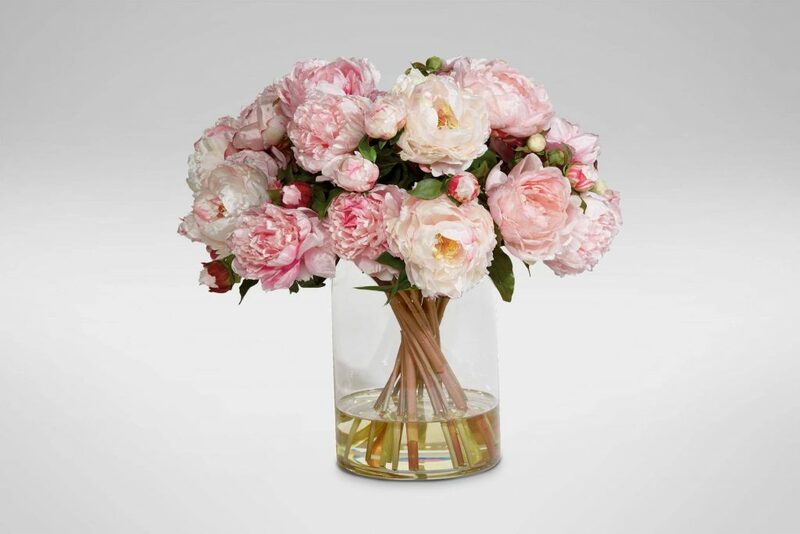 Use roses, poppies, iris and tulips to give life to your room. 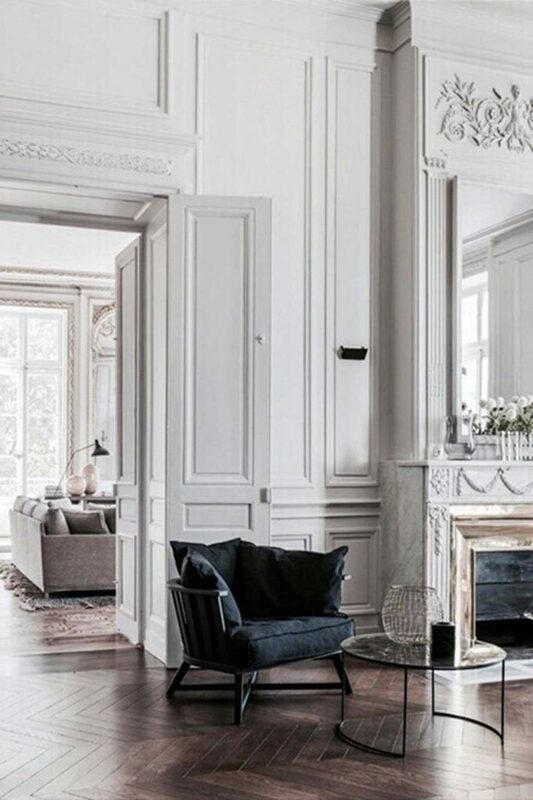 For those of you who don’t want to go full antique, you can still incorporate subtle French elements and colours into your home to create a modern twist. 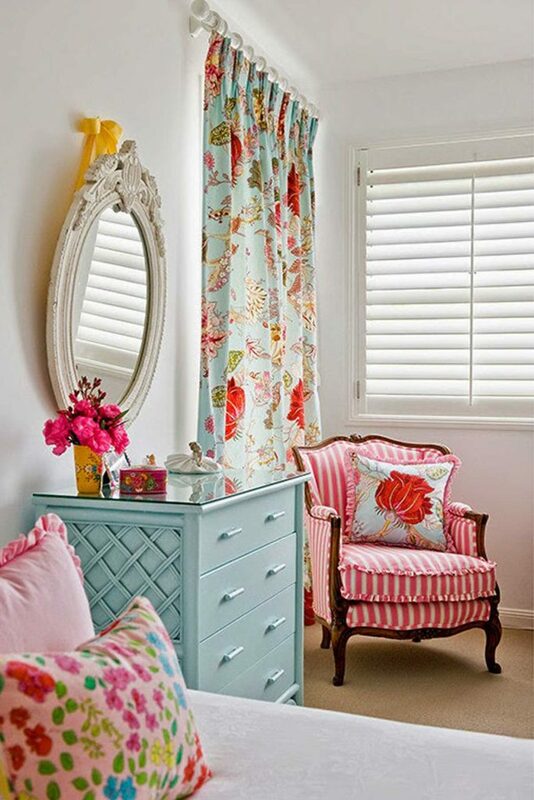 Use light blues, warm whites or pastel yellows for your walls and combine this with gold accessories and large mirrors. Incorporate wood furniture which is modern yet still fits with the French accent style. 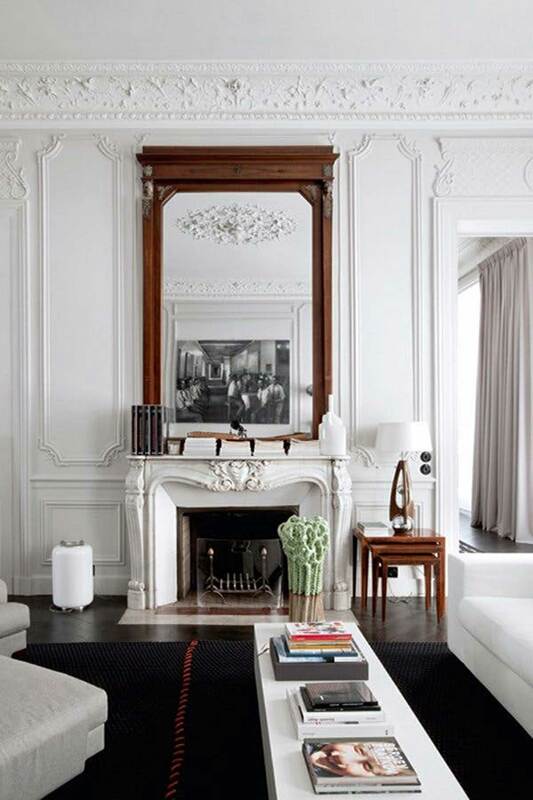 Less is more, so choose one piece of artwork or one feature piece in the room such as a decorated fireplace. 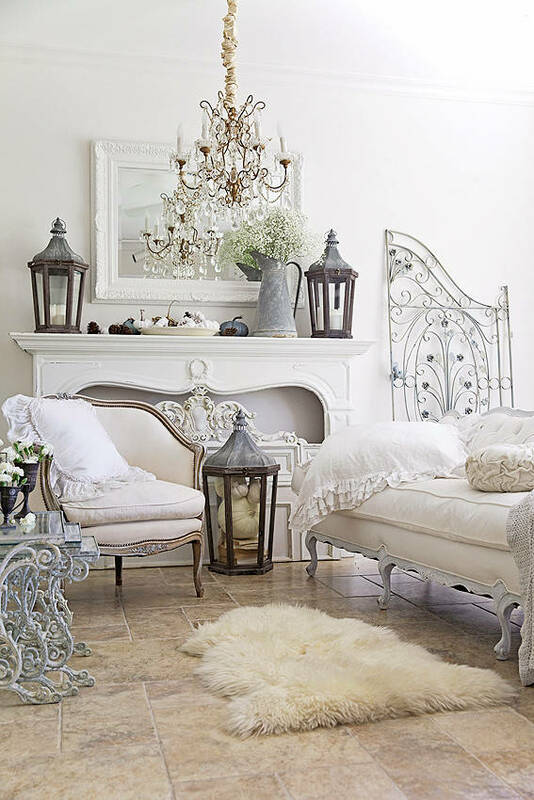 Instead of an antique, traditional room, mix it up with some chic elements. Start with a large chandelier for the feature piece of the room. These go perfectly in the middle of a living room or over a dining table. Next, add gilded mirrors, metallic coffee tables and gold accessories to provide that wow factor. 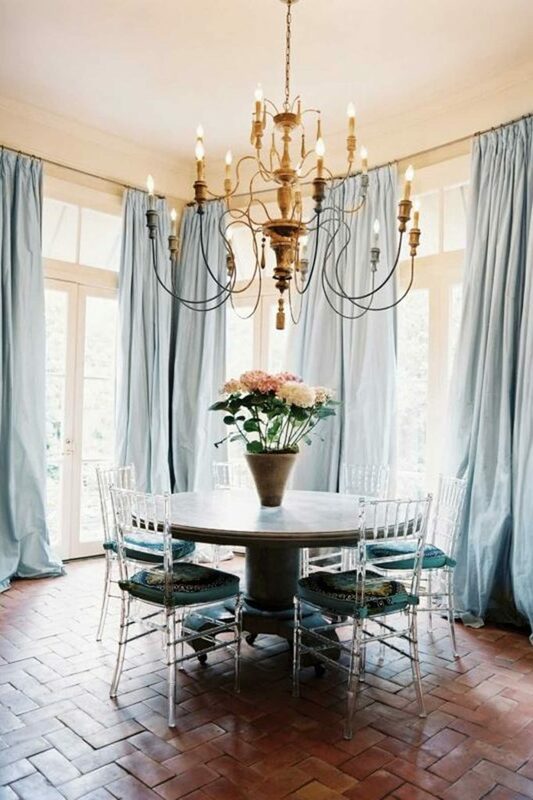 You can never have too much or too many curtains in French style homes. Don’t stop your curtains at the floor, the more the merrier. Long drapes in red velvet or subtle blues and stone colours are perfect for window dressings. It’s all about emphasising the structure of the building, even if it’s a plain square room, curtains can dress up anything. For a head start on ideas for French accent style or other popular styles, check out our style boards and gold products.